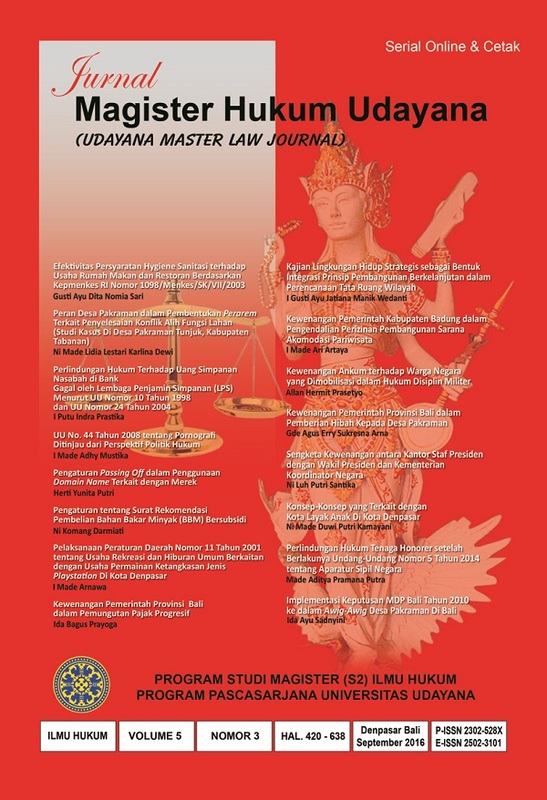 Jurnal Magister Hukum Udayana (Udayana Master Law of Journal) by Faculty of Law Udayana University is licensed under a Creative Commons Attribution-NonCommercial 4.0 International License. Based on a work at https://ojs.unud.ac.id/index.php/jmhu/index. Permissions beyond the scope of this license may be available at https://ojs.unud.ac.id/index.php/jmhu/index.